The 21st year of the Kayano shoe is perfect example of the success that comes from never quitting. Asics keeps on improving one of the longest running runners’ shoes. The shoe that began the series, the Kayano Trainer, was named after its designer and debuted in 1993. Even then, it was helping runners achieve their goals. With several changes during the 21 years, the Asics GEL-Kayano is among the best in comfort and stability. 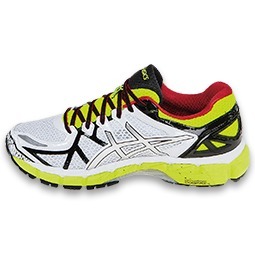 According to the manufacturer, the Asics men’s gel Kayano 21 has unparalleled history of support and stability. It is designed with a wide variety of gaits in mind and is excellent at helping over pronators maintain a more neutral step. The many components of this shoe work together to provide the runner the necessary support without jeopardizing comfort. The Fluidfit upper conforms to each foot for a sock-like fit through multi-directional stretch mess that is reinforced for increased strength. It also allows the mess to adjust to each foot. For the back of the food, the heel clutching system does not pinch but instead provides support and improves the fit of Asics men’s gel Kayano 21. 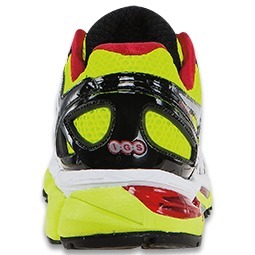 Shock absorption is maximized by the GEL-cushioning during impact and the toe-off. Further, it allows movement in several levels throughout the gait. Similarly, the Ortholite X-40 Sockliner has more bounce and durability with high rebound properties. Additionally, it provides moisture control wicking it away from the food, high breathability as air circulate around the insole, and antimicrobial characteristics fights fungus, bacteria and odor. The Ortholites are lightweight, washable and retain their structure over time. The FluidRide midsole is new and offers still more cushioning with its two layer foam design. It has combines improved bounce back and a lighter weight without compromising durability. The Guidance Line, a synthetic insert between the midsole and outsole, decouples tooling as well as enhancing gait and efficiency. The Guidance Line helps the shoe and foot interact and maintain a consistent load and motion. From heel strike to toes off, the Guidance Line helps reduce the chance of injury. midsole, this advancement attempts to minimize the effects of over pronation and enhance the normal movement of the foot. Yet, the majority of runners, even without over pronation, should enjoy the cushioning and fit of the shoe. 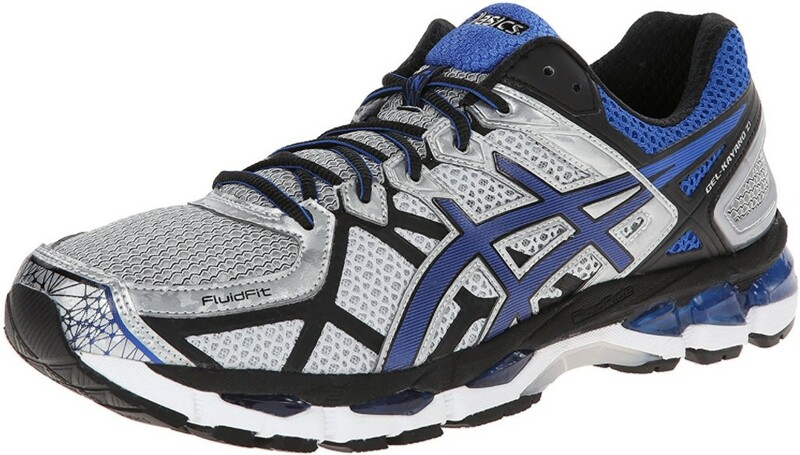 Overall the Asics men’s gel Kayano 21 is .5oz lighter, has increased stability, cushioning and shock absorption. The heal-to-toe drop is 10 mm for the men’s shoe and 12mm for the woman’s version. Compared to past Kayano’s, Asics men’s gel Kayano 21is enhanced by the fluid fit and good grip. The cushion weight is reduced by 15% and 20% increase in bounce back or shoe’s responsiveness. ASICS provides a wider color selection and more reflectivity for those running at night. One reviewer on Amazon described these shoes as running on clouds even with flat feet and over pronation. He said these shoes make it a non-issue and highly recommends the shoe. Several people said the 21s are an improvement in cushioning over the 20s and that the 21s usually fit your normal shoe size, although the new shoe liner may make them feel a little snug. The reviewers stated going up even just half a size made the shoe too big in many instances. Some say the fit is narrower but overall, runners seem to feel Asics men’s gel Kayano 21 Running Shoe is the best they could choose.